It's not wise to upset a Wookiee. 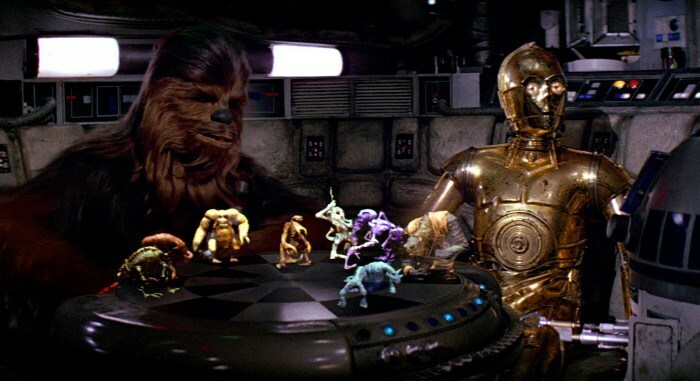 The special effects shop founded by the stop-motion master Phil Tippett delves into a holochess match more than 40 years in the making. 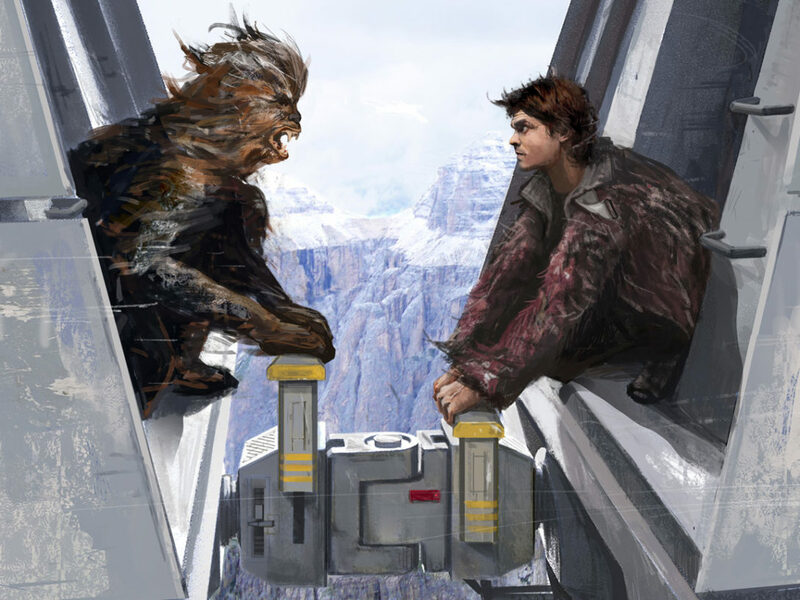 Watch closely as Chewbacca and Tobias Beckett engage in a friendly game of dejarik en route to Kessel in Solo: A Star Wars Story, and you’ll see the frustrated Wookiee take his aggression out on the table, slapping at the holographic pieces in vain. 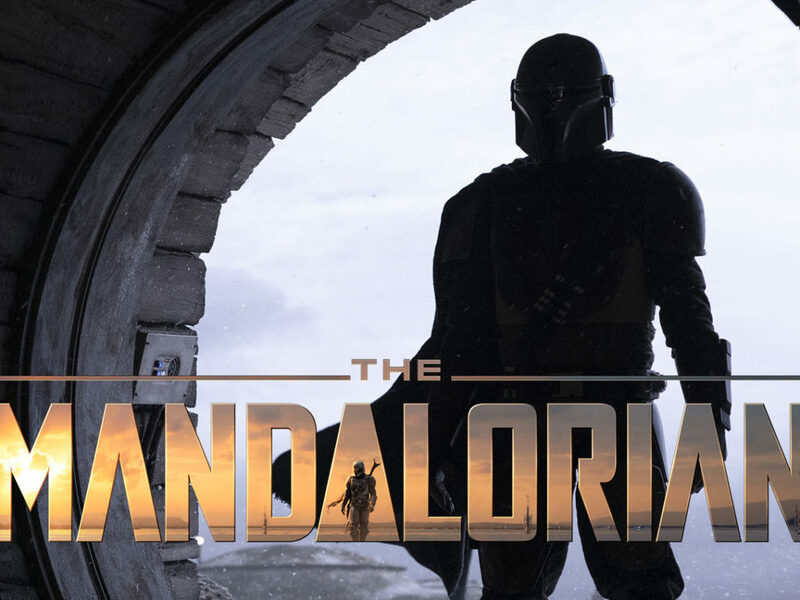 But his brute strength has a lasting effect, a clever Easter egg that explains at least one of the physical alterations on the ship as it changed hands from Lando to Han Solo. As the Wookiee rages, the table sparks, freshly-dislodged buttons tumble to the floor, and two of the game pieces fizzle out of existence, never to be seen again. As it turns out, the scene wasn’t supposed to play out quite in this way. 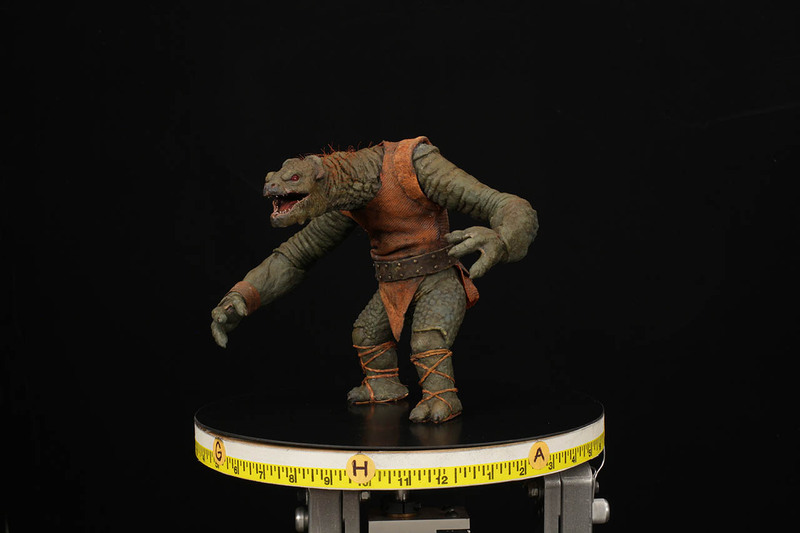 Conceived as a way to pay tribute to the original stop-motion creatures that were created by Phil Tippett and Jon Berg for the first holochess match aboard the Millennium Falcon in A New Hope, the Solo: A Star Wars Story script called for the resurrection of the complete 10-piece set, based on the original models, says Tippett Studio’s Chris Morley, the VFX supervisor for Solo. 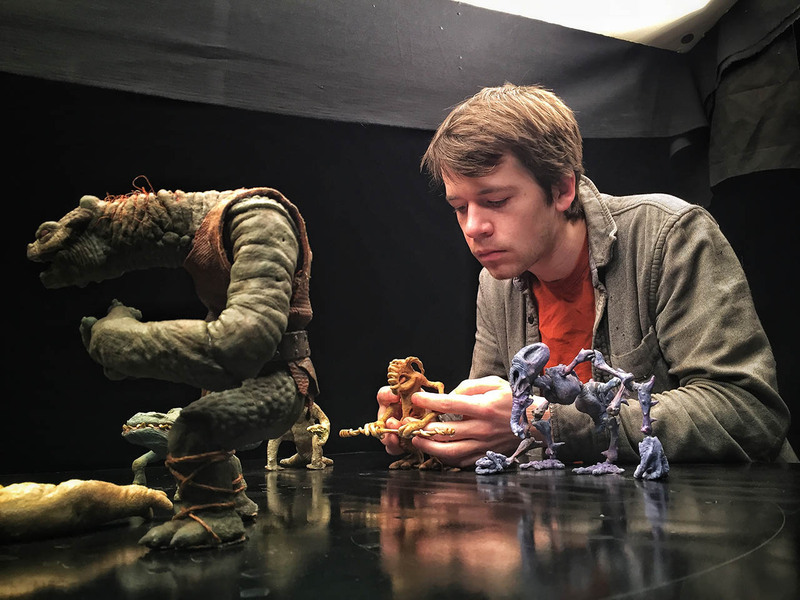 Morley recently sat down with StarWars.com to talk about how the tiny puppets from the first Star Wars film influenced the newest set incarnation and why stop-motion is still an essential part of filmmaking today. 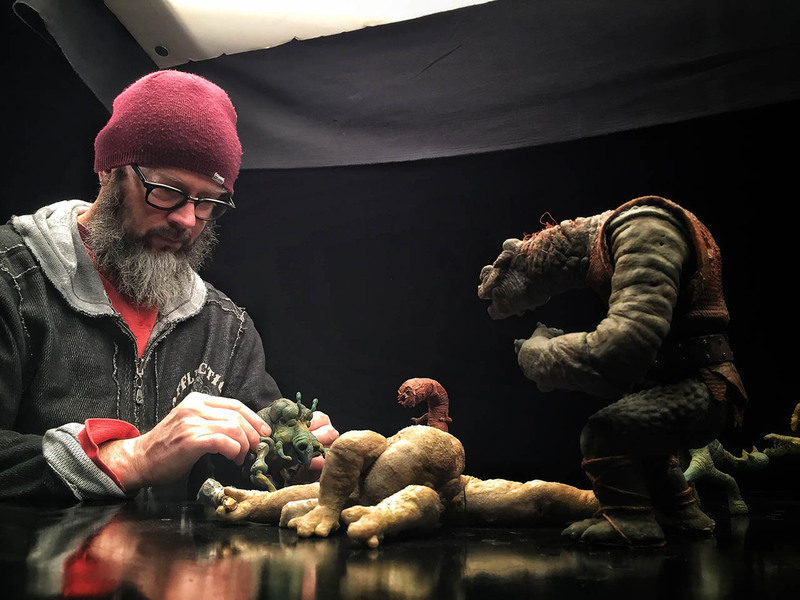 It can be said that Tippett, a special effects icon, puts himself into his work, with more than four decades in the field helping to design and shape the movements of stop motion creatures. His namesake studio in Berkeley, California, is brimming with treasures and trophies. Although absent during the interview, Tippett remains in spirit, his head poking up through the snowy terrain on Hoth in a behind-the-scenes photo of him puppeteering a tauntaun for The Empire Strikes Back. 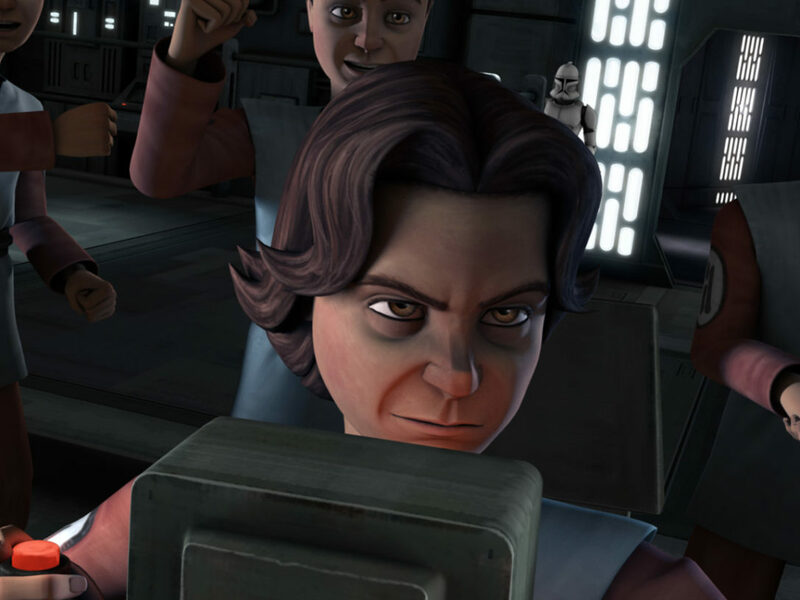 And his presence is still felt in the menagerie on the Millennium Falcon’s dejarik table. 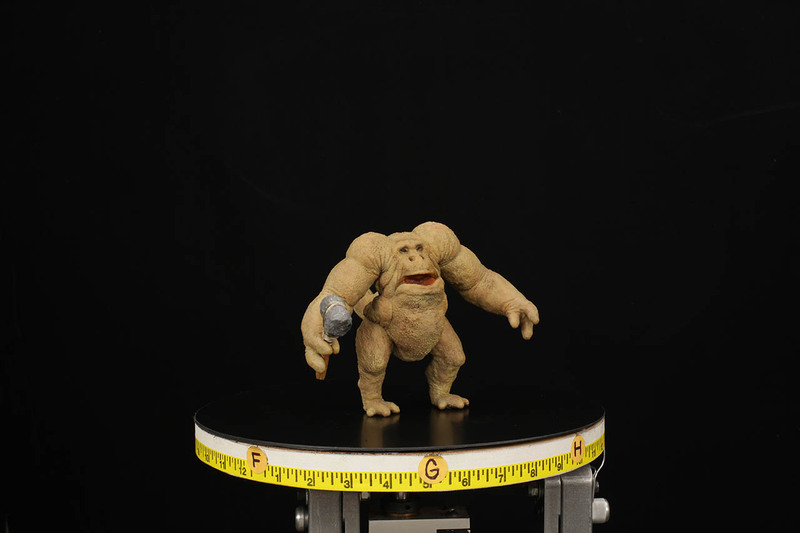 After designing and animating the stop-motion creatures for the 1977 production, the props were posed as a trophy and gifted to George Lucas, Morley says. For a time, the puppets sat on the creator’s desk. 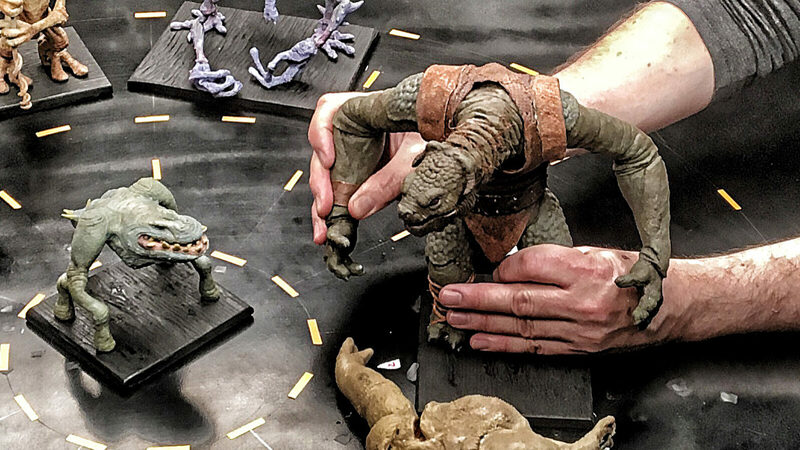 In 2015, Tippett Studio was called in to recreate the eight creatures for a scene in The Force Awakens, in which the game pieces flicker to life as Finn accidentally rests his arm on the table. 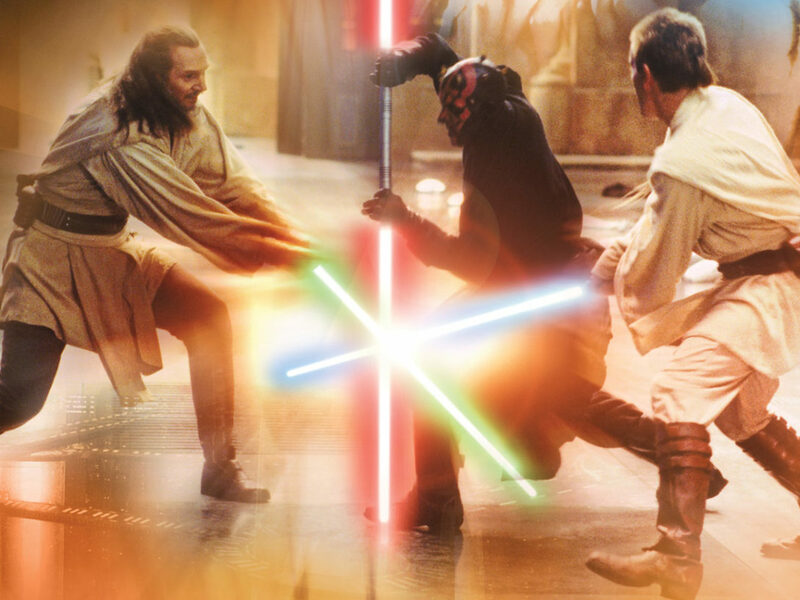 “Phil remembered giving the gift to George,” Morley says, but the modern-day crew at the special effects studio was tasked with tracking them down inside the Lucasfilm Archives at Skywalker Ranch. Once found, they had to be scanned and refashioned. “There’s no touching these little puppets because they were made of foam and latex and after 30-some odd years, if you were to move the arm …it would just crumble,” Morley says. 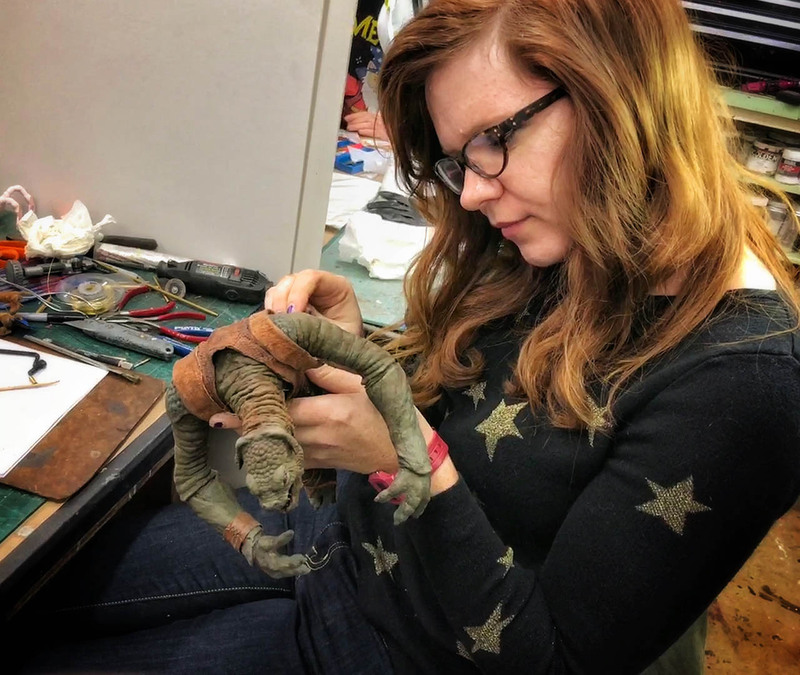 Updating the puppets to a more durable silicone design, Tippett’s fabricators used some of Tippett’s real beard hair and locks from his daughter, Samantha, to add a tuft along the spine of the hulking puppet whose behind-the-scenes nickname is simply Mr. Big. This time, they decided to create two new pieces for Lando’s pristine holochess set, using the two remaining original sculptures intended for the game’s debut in A New Hope. 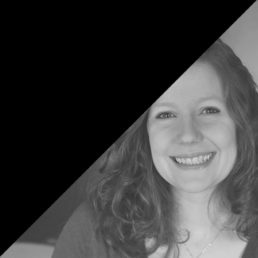 The whole process took about three months, capturing 24 incremental moves for each second of footage. 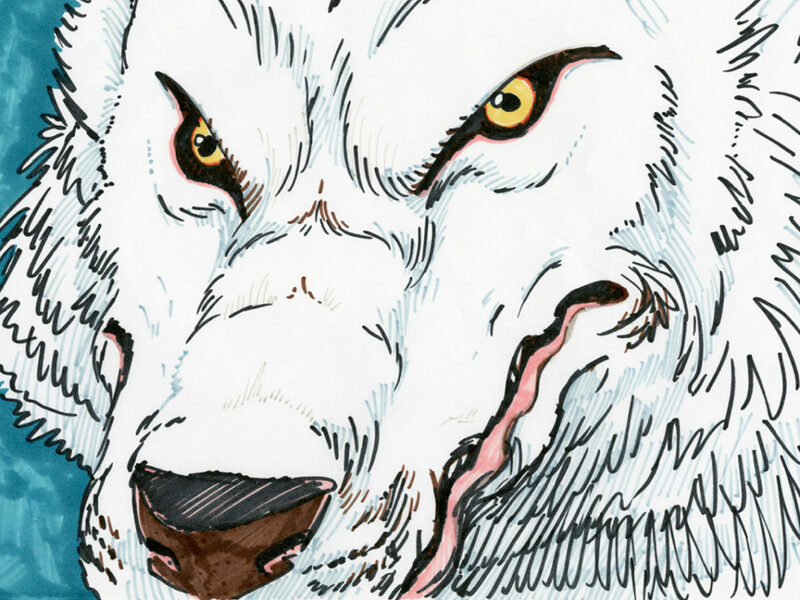 “We had already been kicking around the idea of if we ever get to do the chess set again, there’s those two old characters that never made it into the scene,” Morley says, essentially rescuing Tippett’s complete original set from the dustbin of time. Tippett himself had lost track of the two cast-off creatures. “This was long before Solo even came around,” Morley says. After seeing them in behind-the-scenes photos, Morley and his team asked about the puppets and where they had ended up. Tippett wasn’t sure. But during a regular lunch date with Dennis Muren, he asked his longtime friend and collaborator if he could recall. “And he was like ‘yeah, I have them. They’re in my cabinet,’” Morley recounts. 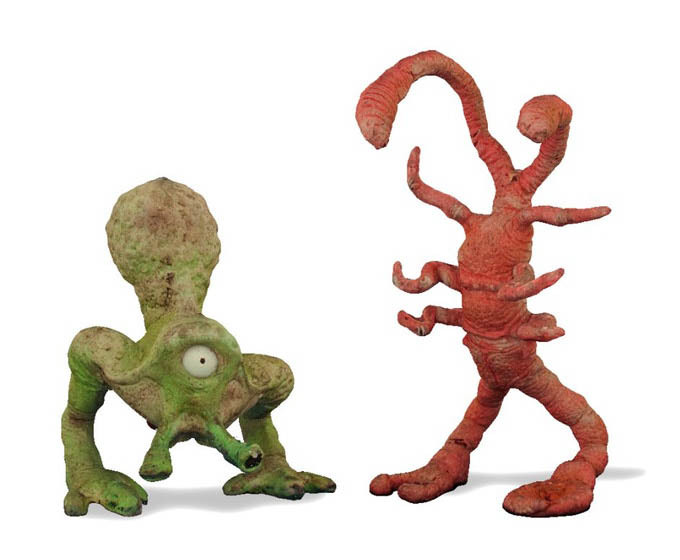 Nicknamed Bulb and Scrimp by the production crew, the puppets were in pristine condition and digitally scanned for later use. “You still wouldn’t touch them because they break,” Morley says. When the team got the chance to work on Solo, they knew their day had come. 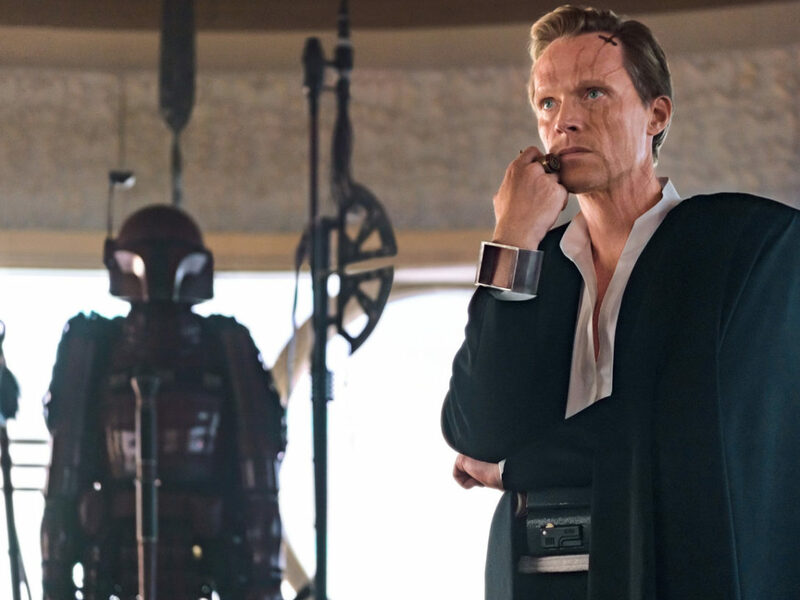 “Because Solo took place before A New Hope and it was still Lando’s ship, it was super slick,” Morley says. 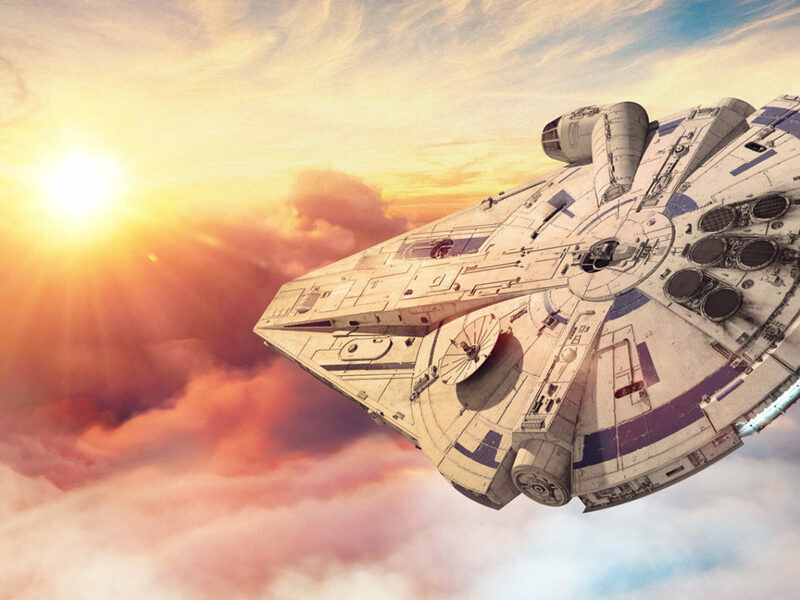 “In Solo, the Millennium Falcon is new and clean, much different from the grimy, heavily modified version we see in the later years of its service. 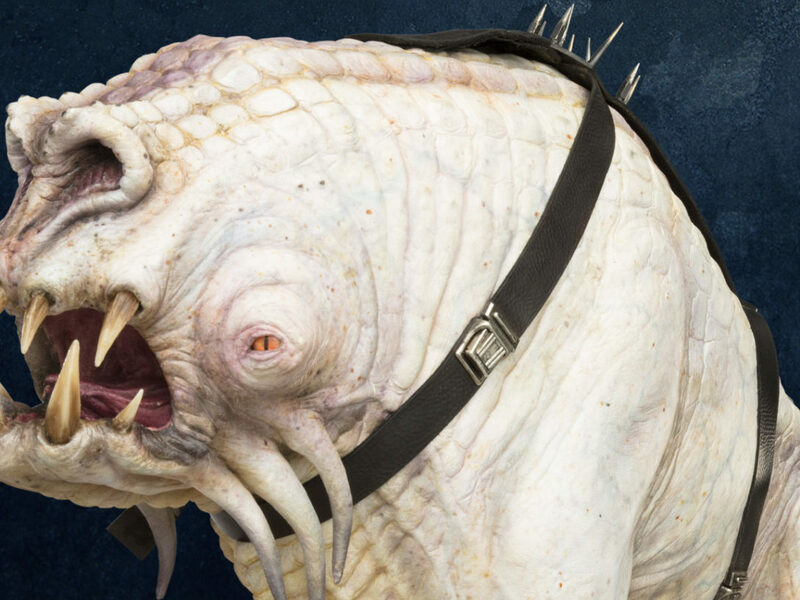 First, they had to do some surgery on the puppets from The Force Awakens. “They had been bent so many times for the poses that they had grown weak in the joints and broken,” Morley says, the wire armatures completely destroyed in the process. Kayte Sabicer, from the Tippett team, redid the aluminum armatures and reinforced the puppets’ joints with steel wire, slicing into the silicone and gluing it back together seamlessly. Animators Tom Gibbons and David Lauer, himself about the same age Tippett was when he worked on A New Hope, worked on a soundstage to recreate the same classic move that Chewbacca fell for all those years ago. 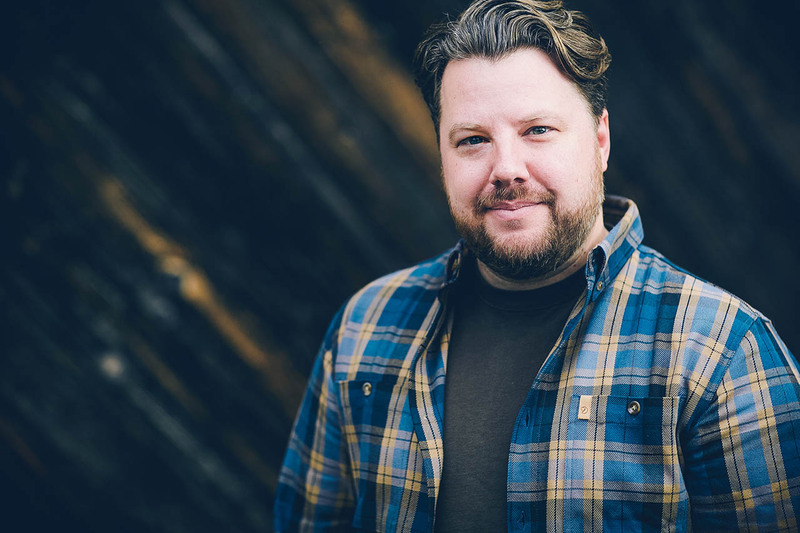 Special effects professionals are well-versed in the importance of happy accidents in the world of practical effects. “It happens all the time when we shoot,” Morley says. But it was serendipity at work again when he landed his first job in the industry at 22 with Tippett, he believes. “I’ve been here 18 years. It’s a wonderful place to land because, of all the studios I could have gone to, this still has a bit of a practical feeling…I am getting to fill that childhood desire to work on practical stuff. To celebrate their achievement completing Solo, the Tippett crew made custom shirts with silhouettes of the full 10-figure set above the words “Corellian Chess Club.” It’s a fitting tribute to the team that brought Tippett’s vision for the Falcon’s dejarik critters full circle more than 40 year later. Solo: A Star Wars Story is available now on Digital and Movies Anywhere and on 4K Ultra HD, Blu-ray, DVD, and On-Demand on September 25.